In this post, I’ll tell you how to spend a weekend in London productively and see as much as possible in this amazing city. I love London. Really. The city is just incredible. Some say, that there are two categories of people: the ones who like London and the ones who prefer Paris. Well, I’m a London person. Without any hesitation. I was lucky to have lived in London in summer for a month and then visited it for a day or two a couple more times. But each time I return to London, I feel like home. Even a weekend in London was every time a pleasure. However, it is a huge city, so a weekend in London is obviously not enough to see the whole city, understand it and fall in love with it. But at least you can get the overall impression of the city. Where to stay during a weekend in London? Accommodation in London in summer is very pricey and not really nice (unless you book a 4 or 5-star hotel in the downtown). And you need to book it as early as possible. If your budget doesn’t allow you to book a luxurious hotel, go for a chain like Ibis or Mercury, as they at least will provide a decent service. All the hotels, where I stayed in London weren’t nice, and some were really terrible, like the Duke of Leinster (which is not precisely a cheap one – 210 pounds for a room for 2 nights). Tip: choose a hotel in London carefully! Otherwise, you might end up staying in a terrible place. These hotels have great reviews/price ratio, so it makes sense to check them out: the Henrietta Hotel, Hotel Moonlight and The Nadler Kensington. If you’re planning to stay in an Airbnb accommodation, check beforehand, where the apartment is located. You might end up being in a very dangerous zone (just like Stratford. And that’s not nice. You don’t want to stay there, believe me (because I stayed and I would never ever go back there (Wanstead Park station or Forrest Lane, to be precise). So the accommodation in London is really a pain in the neck. 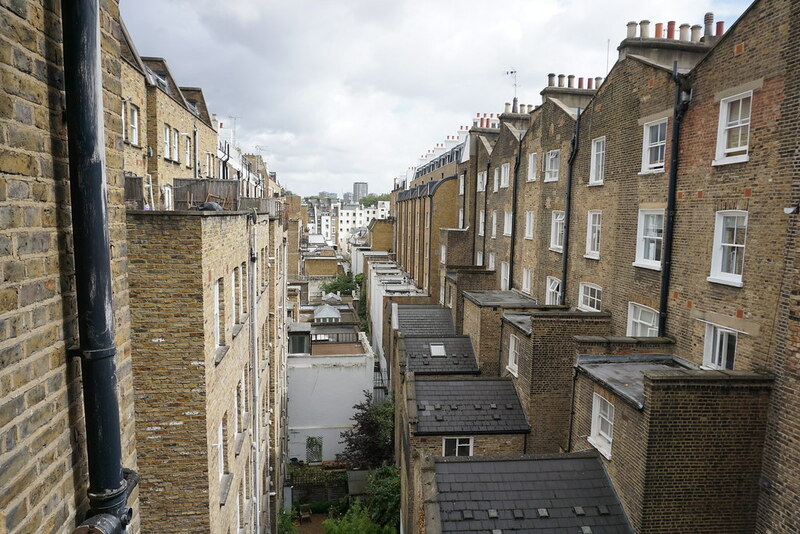 Where to stay: it’s really nice to stay in South Kensington, Angel (Islington), Hampstead, St. John’s Wood and Maida Vale, Notting Hill & Holland Park, Westminster, around the King’s Cross station and in Greenwich (even though it’s a bit far). Shoreditch / Old Street & Camden Town are also great if you’re looking for an alternative place with a lot of hipster places and street art. And Piccadilly is a bit too loud, you won’t be able to sleep there very well. Waterloo would also be okay. 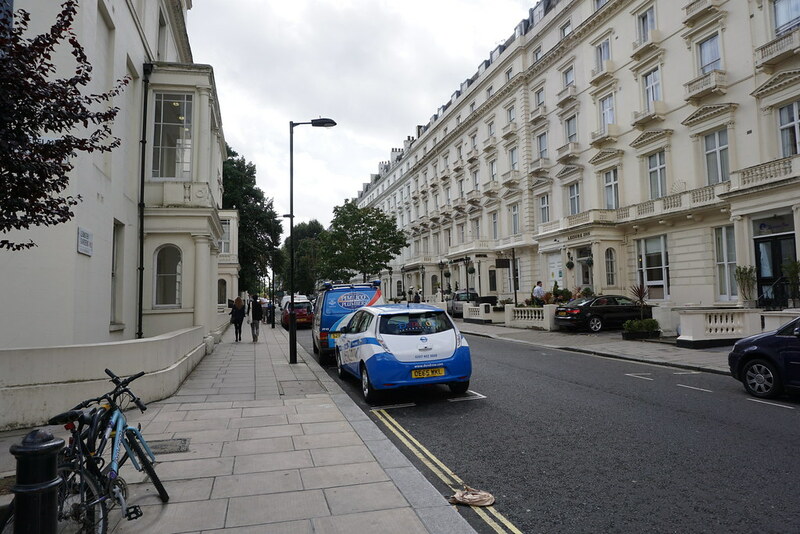 Last time I stayed in Bayswater and it was really great because it’s located within the walking distance from South Kensington, Paddington, and even Knightsbridge. Check the hotels in Bayswater now! So what is there to see in London and how to squeeze everything in just two days? Day 1 of the weekend in London in summer. I would recommend you to start from the Hyde Park. You can check it out and walk around a little bit and then head to South Kensington. South Kensington is really a must because there you can find plenty of famous museums (and all of them are free: Science Museum, National History Museum, Victoria & Albert Museums etc), besides there is also the Royal Albert Hall. Later you can walk to Knightsbridge – it’s less than 10 minutes walk from South Kensington. In Knightsbridge, you can find plenty of shops and department stores, but most importantly, there is Harrods, one of the most famous department stores in the world. It’s very impressive and doesn’t leave anyone indifferent. Even if you’re not going to buy anything there, it’s worth taking a look at various departments and checking out the Egyptian escalator. After Harrods you can walk to the Buckingham palace, it’s not far at all, 25 minutes walk tops. Don’t forget to look at the ducks in the St James Park and check the Horse Guards Palace. 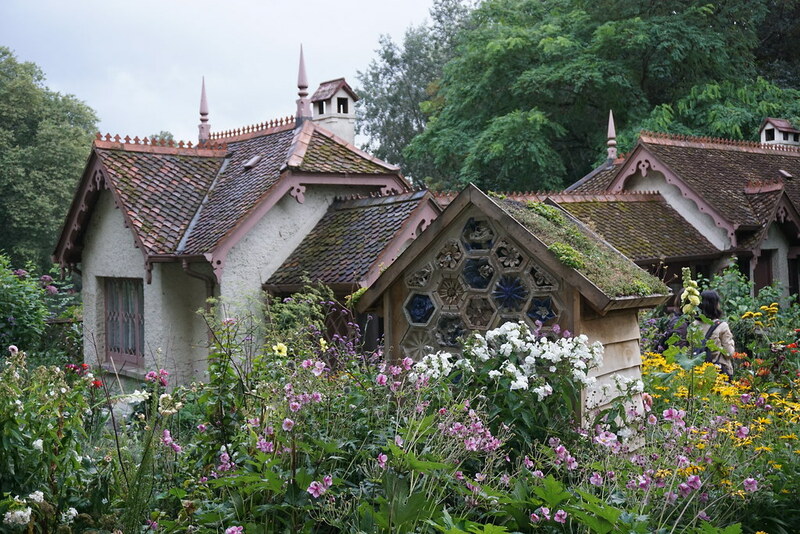 A hidden gem: the bird keeper’s house in Saint James Park. Then head to Trafalgar Square to see the famous National Gallery and later walk to Big Ben and Westminster. Cross the bridge to get to Waterloo and the London Eye. You can spend the evening in some of the nice pubs in Waterloo. After you woke up, head straight to Greenwich, where you can walk around the Greenwich Park and Greenwich Observatory, take a picture with the 0 Meridian and visit the famous ship, Cutty Sark. 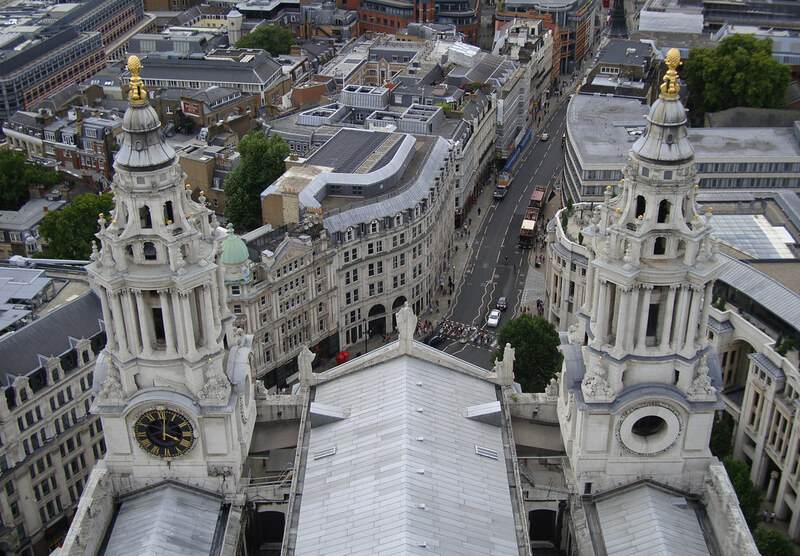 From there, you can go to St Paul Cathedral and climb to the top of it, from where you can see the fabulous panorama of London. From St. Paul Cathedral you can either go to the Tate Gallery or head to the Bank station in order to see the financial district. You can actually walk from the Bank station to the Tower of London, it’s pretty close. Tower of London is really great inside, so I definitely recommend you to visit it. 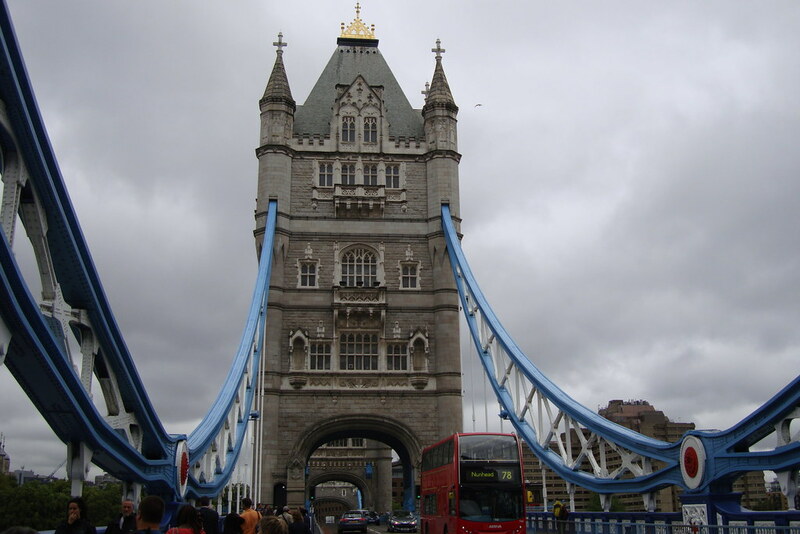 Near the Tower of London, there’s the famous Tower Bridge (seen on all the postcards of London). In case you still have some time, head to Baker Street, there you can go to Sherlock Holmes’ Museum or at least see the place and pay a visit to the souvenir shop. In the evening, you can go to Camden Town – a really cool informal district of London, a special zone of rock’n’roll and hard rock fans. It might look quite creepy in the evening, but it’s really great. Besides, if you’re really lucky, you might see some celebrity in a local bar, e.g. Pete Doherty. Well, that amount of sightseeing would be probably more than enough for a weekend in London. But in case you have any questions, don’t hesitate to ask. Want some alternative route? Check this post about 48 hours London! Going to Edinburgh? You might need this: Edinburgh on Budget or 15 free things to do in Edinburgh! Dreaming of visiting Scotland? Don’t dream, go to Highlands, Scotland or the Isle of Skye! 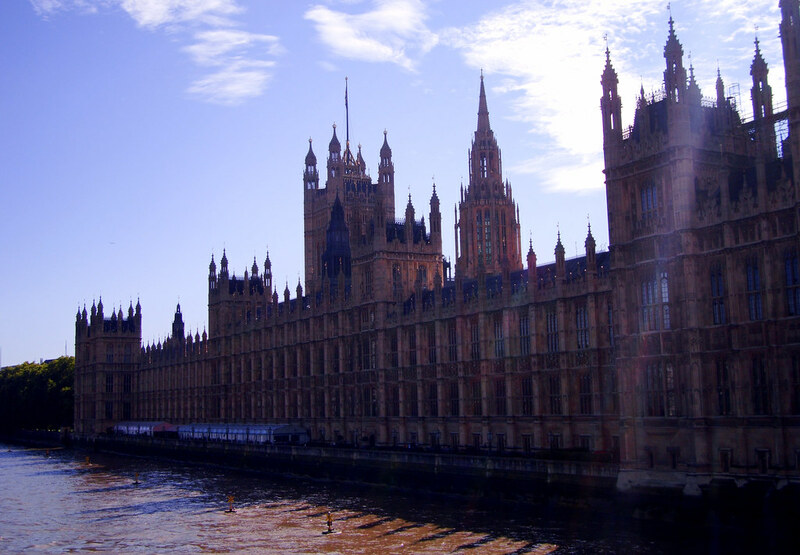 Finally, check for the latest hotel deals in London! Did you like the post about a weekend in London? Save it on Pinterest! I’m a little bit curious as to why you listed all of those neighbourhoods not to stay. I understand that some of them might not be closest to the top tourist sites, but none are bad or unsafe areas. Hampstead is one of the most affluent neighbourhoods in London and Brixton is really up-and-coming and there are a lot of fun and cool things to do. Same with Peckham. Just because they’re not right in central London doesn’t mean they aren’t good places to stay.